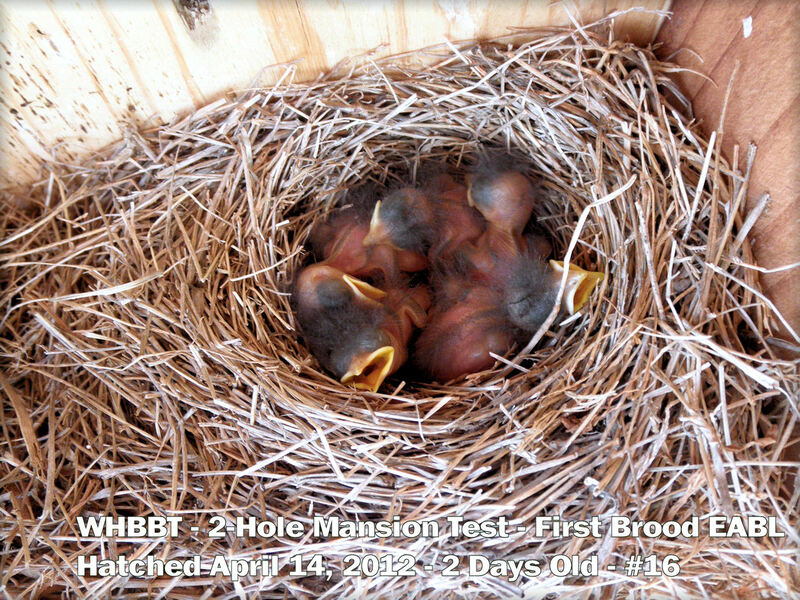 5-day old nestlings from the two-hole mansion. Photo taken April 2012. Are you having a great day? Sure looks like this bluebird is! What a lovely graphic from Cornell’s NestWatch. Down the hatch! Nice picture by Richard Hess. 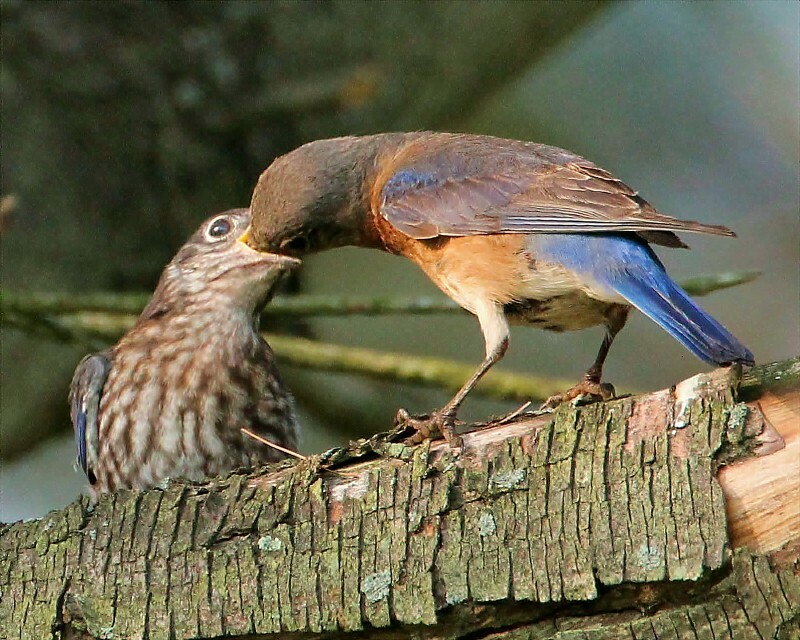 As I add some personal experiences of the joys of fledging bluebirds and other birds we love so much, I hope you’ll enjoy one of my favorite Tchaikovsky’s favorite pieces from Sleeping Beauty’s Ballet, Op. 66. This is called “The Spell”, from Act I –beautifully played by the London Symphony Orchestra. Enjoy! 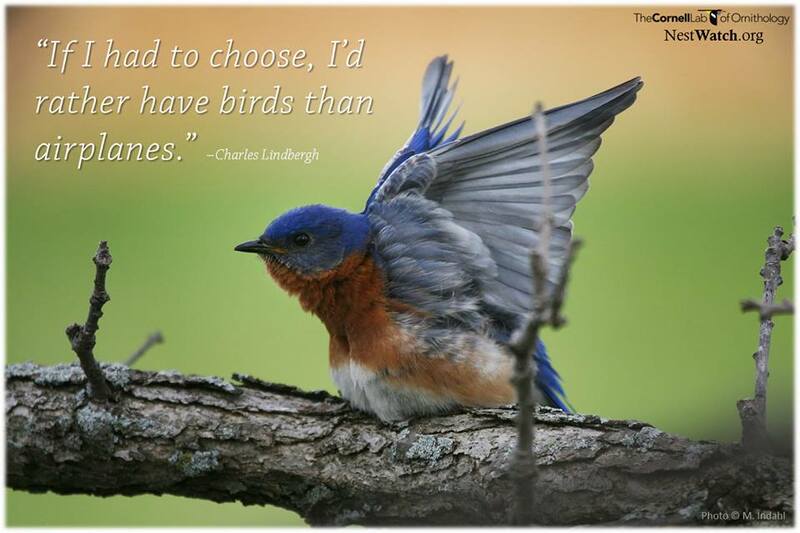 Truly bluebirds have me under a spell year after year–and year-round, not just during the nesting season! Hi my name is Fermin, I live in San Juan Capistrano Southern Cal. This year I have so many Western bluebirds in my backyard. A total of 10. I have loved bird watching and feeding all types for many years. I have bought meally warms and bluebird houses I have no luck with blue birds. I believe it is my location . What is your location that you think there are no bluebirds? Maybe I can help.